Cori Rigas Suites is set in a wonderful location overlooking the Caldera and offering its guests luxury accommodation with outstanding facilities. 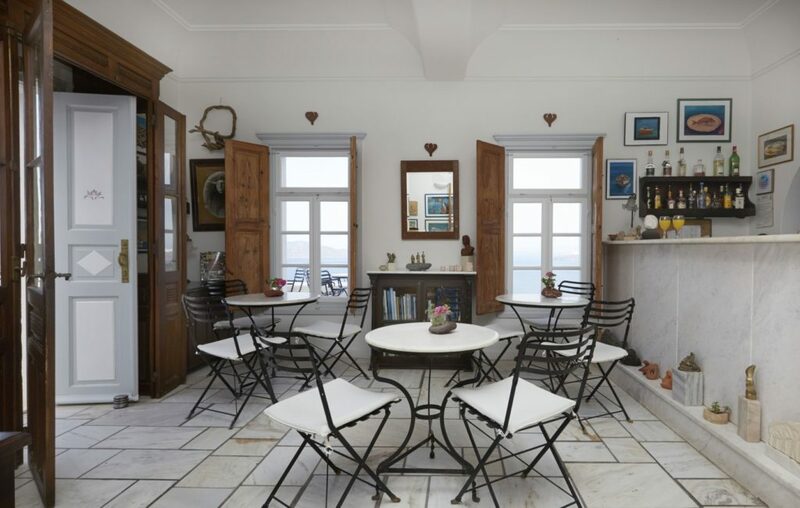 This Captains house has been completely renovated to offer a complex of 12 stylish suites on the Caldera’s cliff. 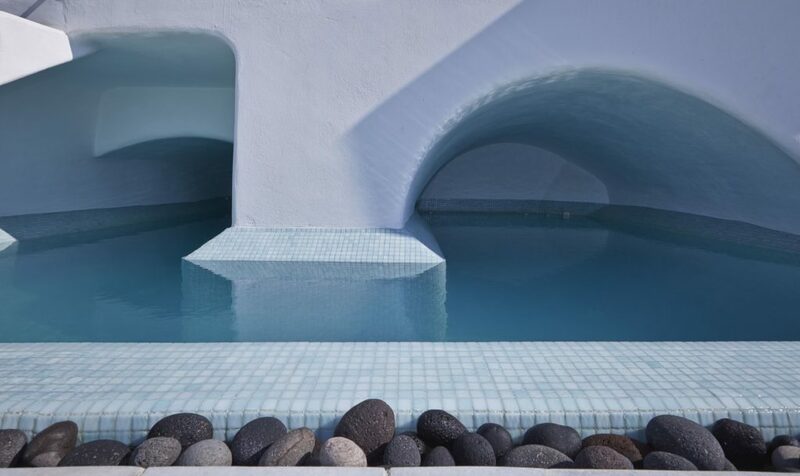 All of the suites have been carefully created using local materials and handmade furniture, many feature private jacuzzi tubs with Caldera views. 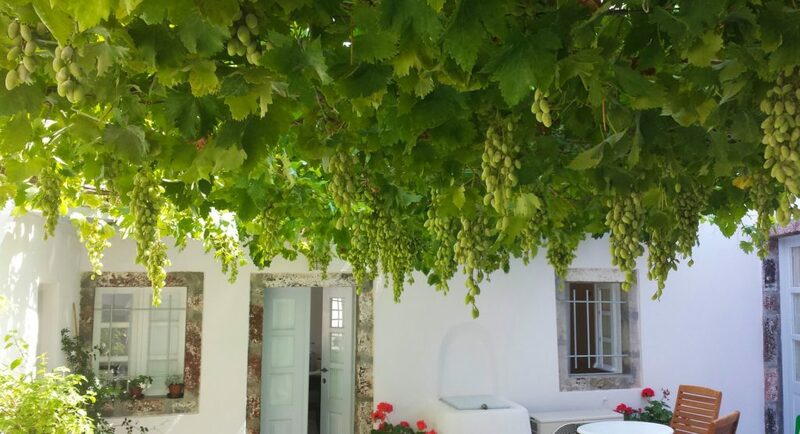 The property has a unique cave style pool for all guests use, a rooftop terrace with amazing views and the stylish Art cafe is a perfect place to enjoy a light lunch or snack. 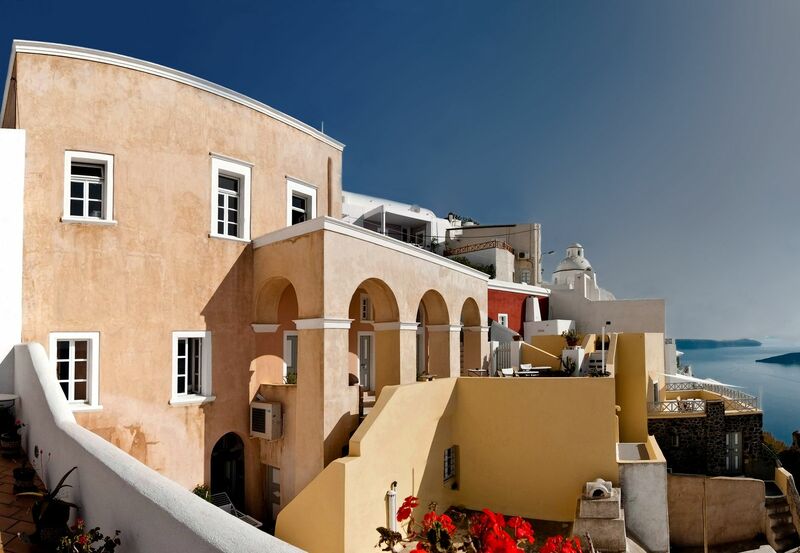 Cori Rigas Luxury Suites location : The location could not be better, lovely views of the famous Caldera and small volcanic islands. 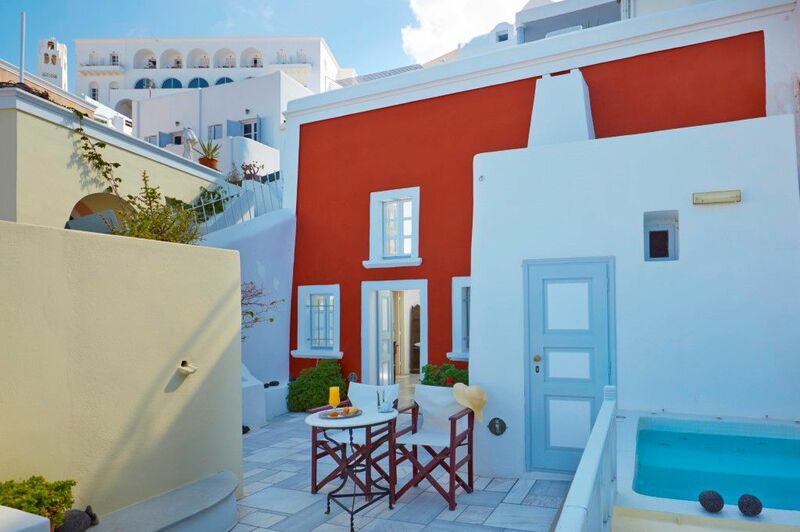 All the facilities of Fira including shops, cafes, restaurants and traditional style tavernas are on the doorstep of this luxury boutique hotel. 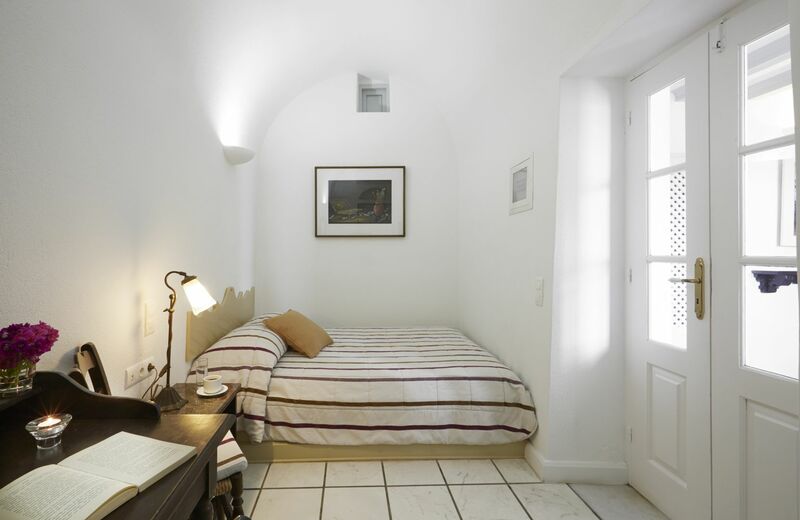 The Petite Suite accommodates 2 guests in a traditional cave room, the double bed is situated on a mezzanine above the sitting area while the bathroom features a shower. 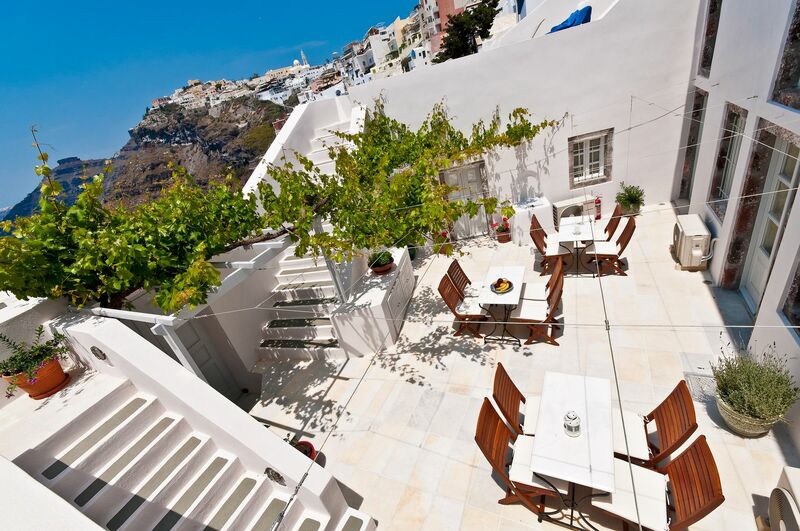 This suite has a shared terrace with lovely views of the Caldera. 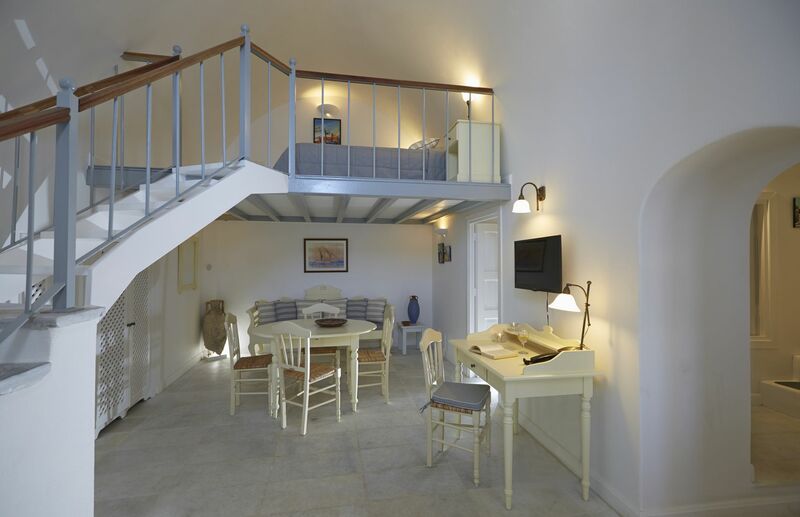 Cozy double suite with sitting area and private balcony, great views of Santorini’s famous caldera. Very romantic, perfect for honeymoons. 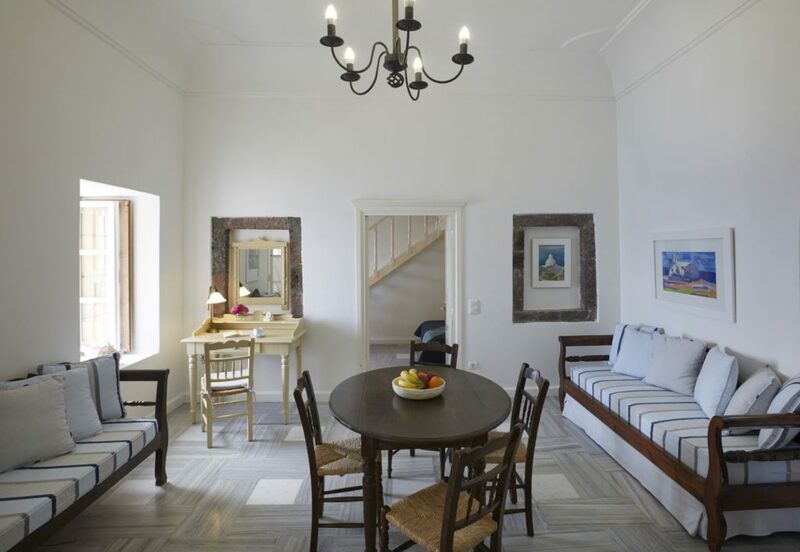 The Petite Jacuzzi Suite is furnished in modern traditional style, private terrace with jacuzzi tub and amazing views of the Caldera. 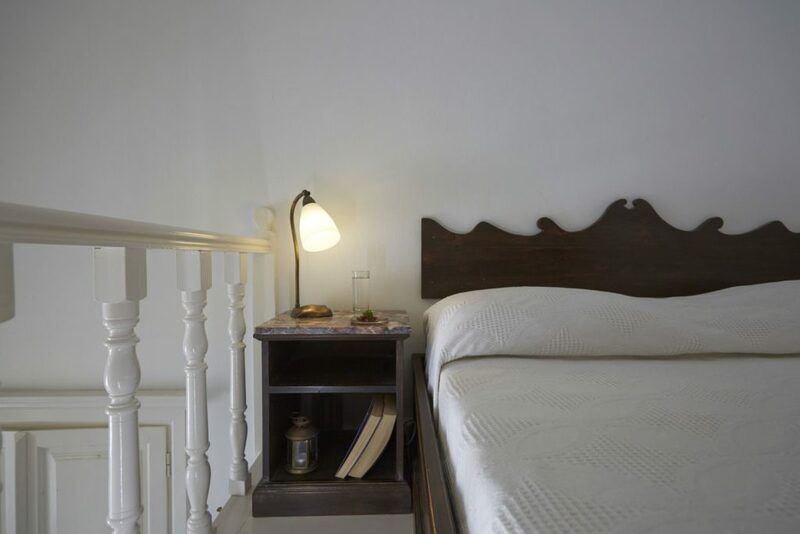 The Junior Suites accommodate up to 2 guests in spacious rooms of traditional design and offer romantic courtyards with table and chairs for private use. 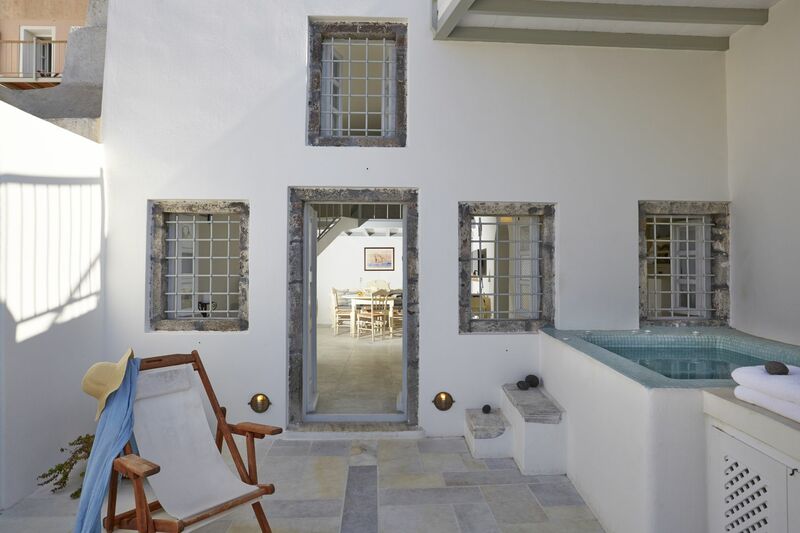 This is an internal courtyard without Caldera views, but guests have access to the roof top terrace offering amazing Caldera views. 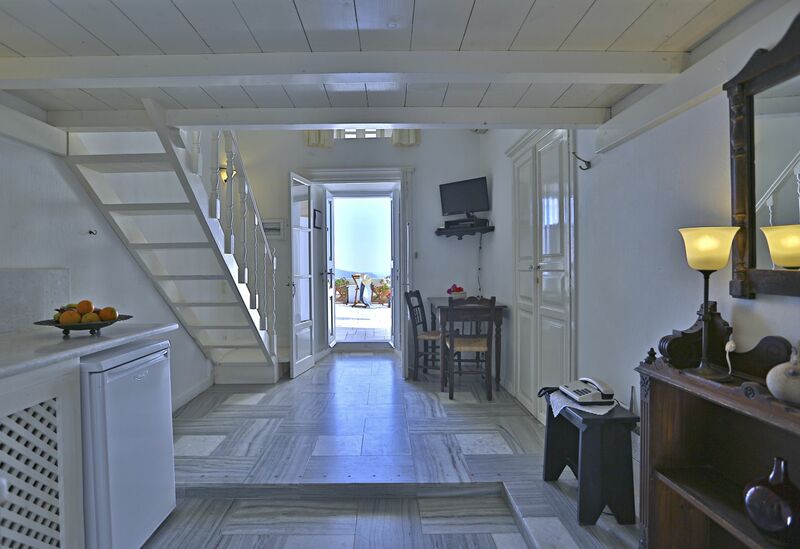 Double bedroom with en suite, separate sitting living area and private balcony with views of the Caldera and volcanic islands. Furnished in traditional style with unobstructed sea, sunset & volcano view from the private balcony. 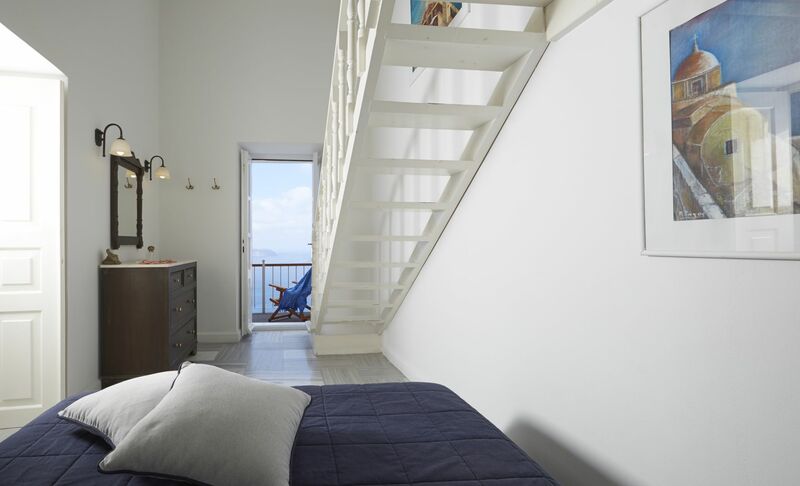 Double room with en suite plus a spacious living area features a double sofa bed which makes this accommodation a perfect choice for families. 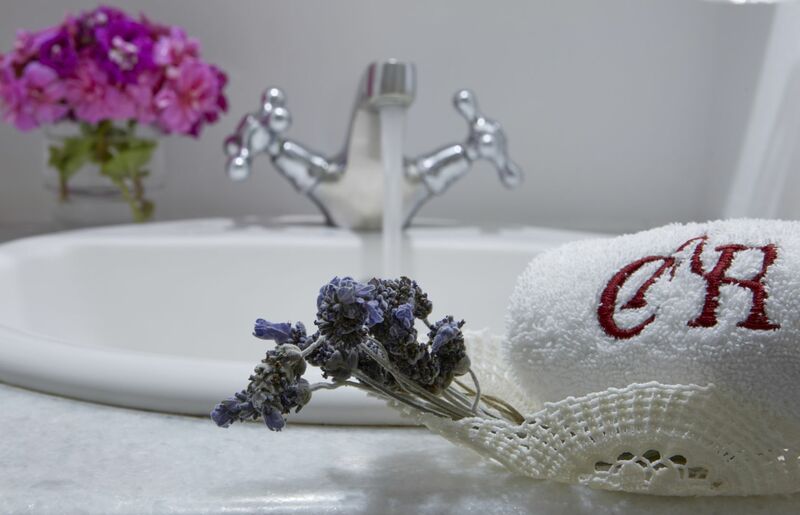 The Superior Jacuzzi Suite accommodates up to 4 guests who will enjoy private hot tub and sun loungers. 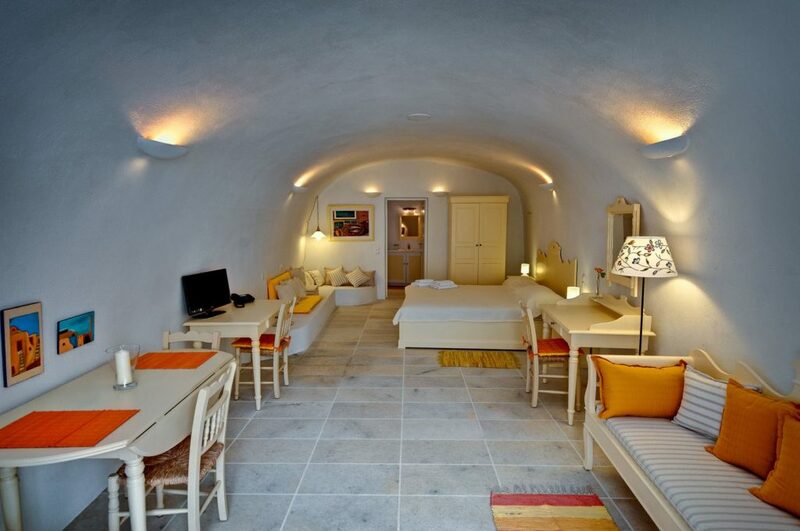 This cave style suite can accommodate up to 4 guests in comfort and features a romantic courtyard with seating. 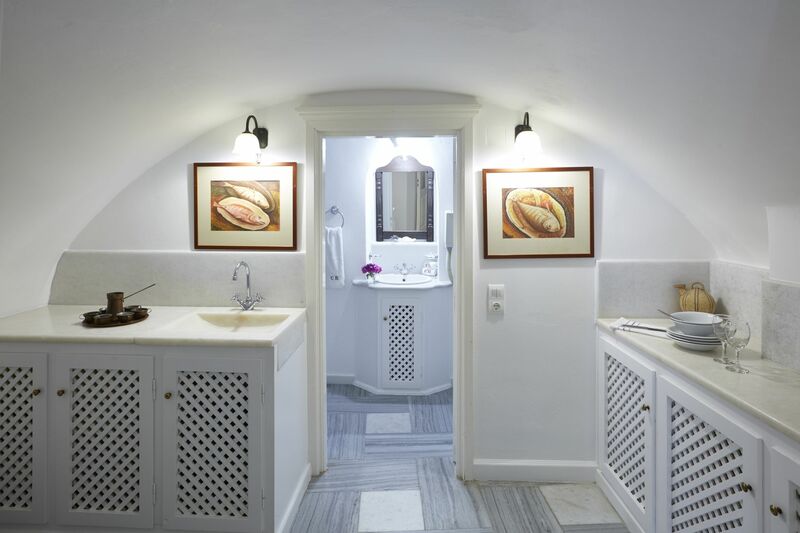 These suites are very spacious and they are all located on the ground floor. 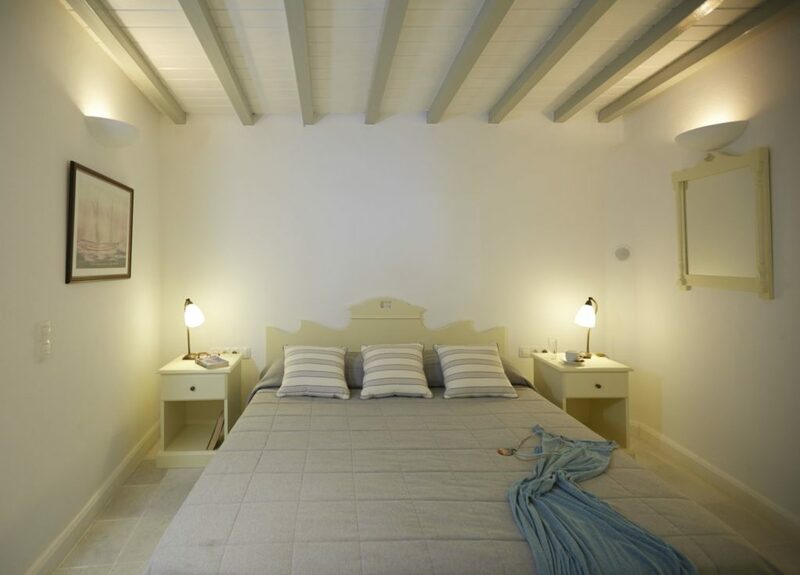 The main bedroom has king size bed with en suite bathrooms, a separate living area with 2 single sofa beds which are ideal for children. Please note this suite does not have Caldera/sea views. 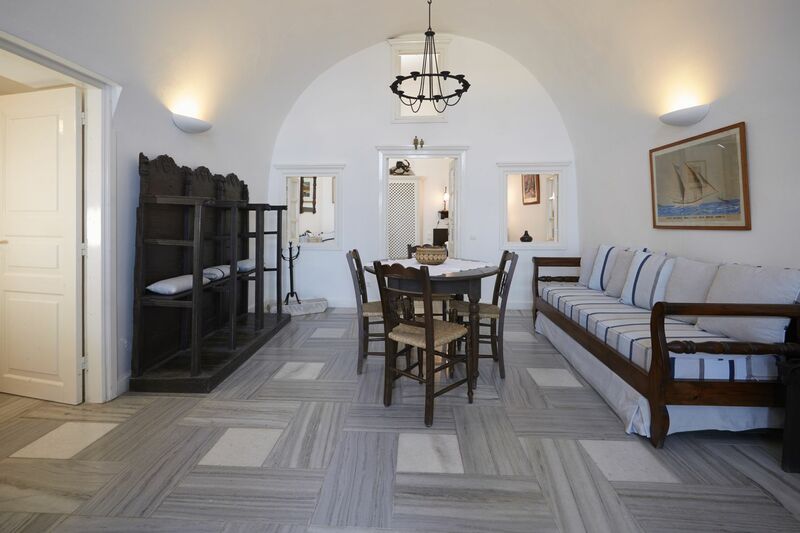 Spacious accommodation offering private terrace with jacuzzi tub. 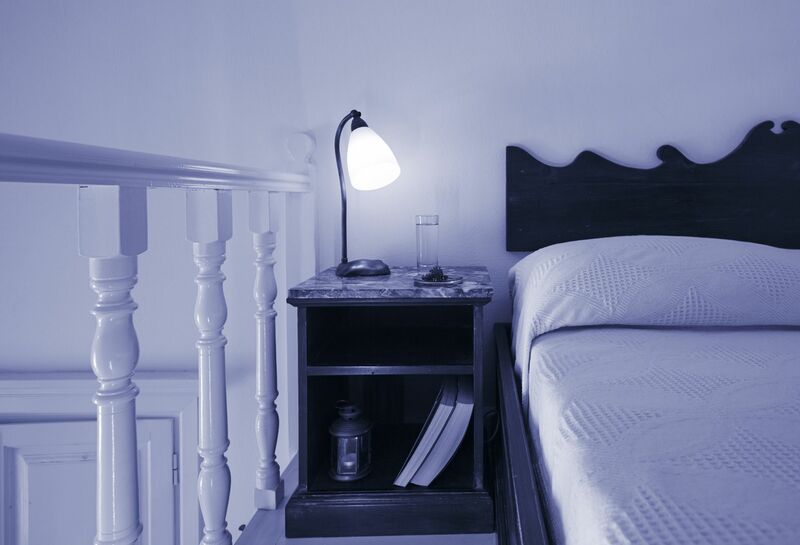 This suite can accommodate up to 5 guests in a double room, a second double bed on the mezzanine and a further single bedroom. 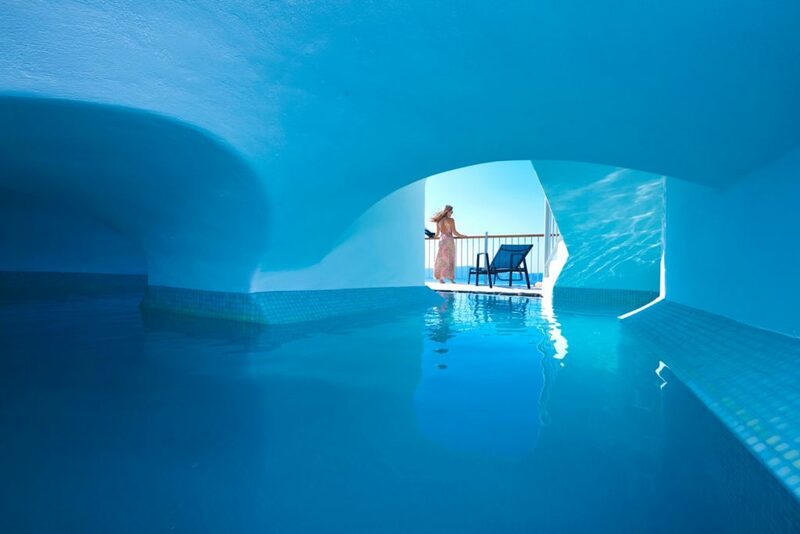 This suite has direct access to the hotels cave style swimming pool. 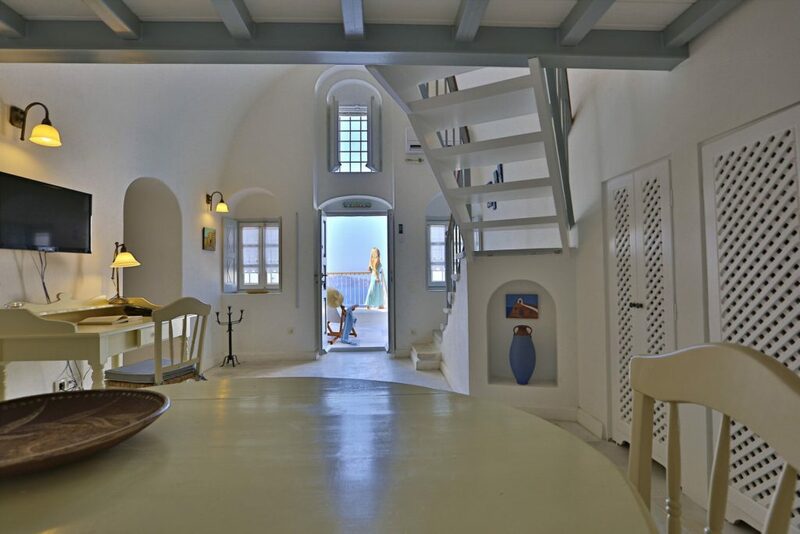 Ideal for a family with 2 small children, lovely views of the Caldera and just a few minutes to the center of Fira.